Today’s post comes from Jessica! She is one of my favorite bloggers even if she causes me to drool onto my computer keyboard daily. I have also had to extreme pleasure of meeting Jessica in person. She was one of the first blogs I ever read and meeting her in person was a lot of fun. I cemented the friendship that we already had! Hi friends! I’m Jessica and I blog at How Sweet It Is, where I share a balance between healthy meals and indulgent desserts, heavy on the “indulgent.” Today I’m going to tell you about five of my favorite dinners – specifically ones that can be made in 30 minutes or (much) less. I know… how Rachael Ray of me. But seriously, these are crazy quick and can be easily modified to your tastes. When I cook I rarely use a recipe, so these first four meals are completely customizable. Get creative with the them. The fifth is one of our favorites and a frequent at our dinner table. 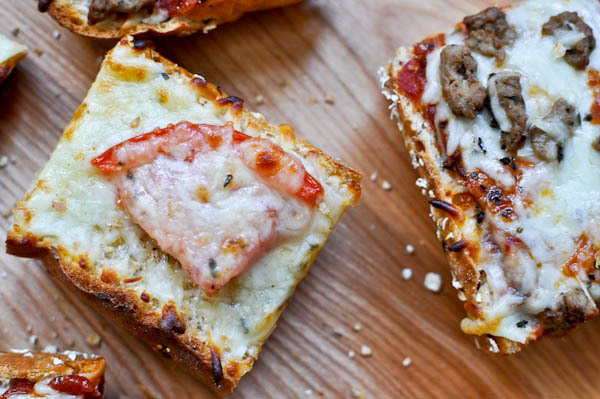 I used to live on those Stouffer’s French bread pizzas when I was in high school, and I felt like I hit the jackpot when I realized uh, duh… I should make these myself. I have made every flavor from buffalo chicken to BBQ chicken to margherita to four cheese. Also makes a tasty snack! 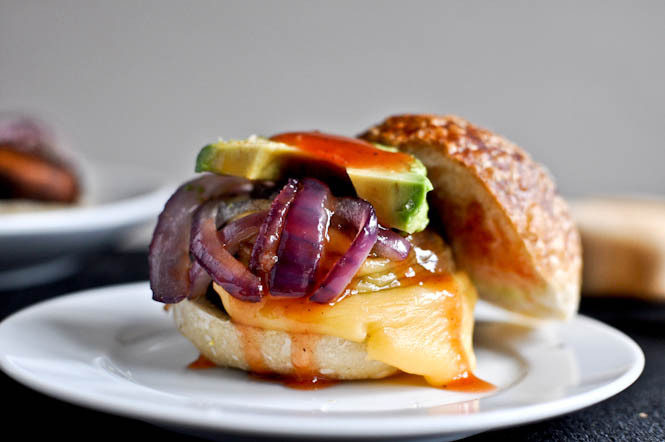 These sliders are made with caramelized onions, gouda, avocado and BBQ sauce, but you can easily change that to your favorite burger flavor. I usually saute the portobellos in a bit of olive oil, and they are also delicious when marinated. Pick up a bigger “fun guy” to make regular-sized burgers too. This quinoa has been an absolute staple in my lunches and dinners this summer. I have an inkling that I will be handing out big bucks until next June just to keep my basil obsession going. I add a bunch of heirloom tomatoes, tons of fresh basil, olive oil, salt, pepper and baby mozzarella pearls. So cute. 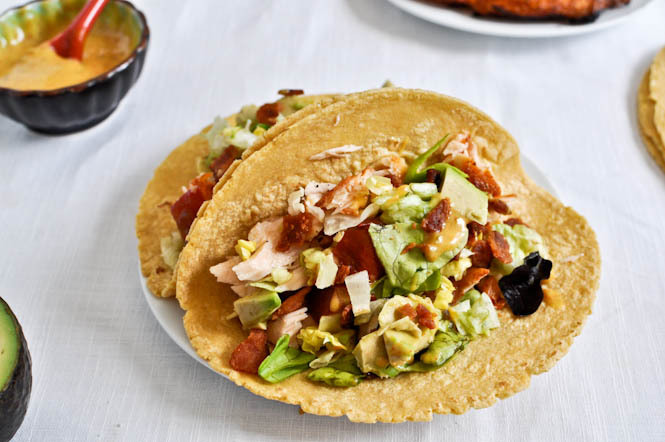 As long as you have salmon (fresh or frozen->thawed), you can make this in a pinch. But what I really love is using this idea for leftover salmon the next day. We always grill more than we can eat, and it’s a great way to change up tomorrow’s meal. Add your obvious BLT ingredients, but top it off with some avocados and scallions and a drizzle of your favorite condiment. While this dish may not be just like the one that comes in your take-out box, it’s always a crowd pleaser and quick to throw together. I love the bursts of flavor and crunchiness – and it tastes better the next day. Add the remaining olive oil to the skillet and add chicken. Brown on both sides until cooked, about 5 minutes per side. Add garlic, red pepper, edamame, half of the green onions and cashews and stir for 30 seconds. Turn heat to medium low. In a small bowl, mix soy sauce and honey. Pour into skillet, coating chicken and vegetables. 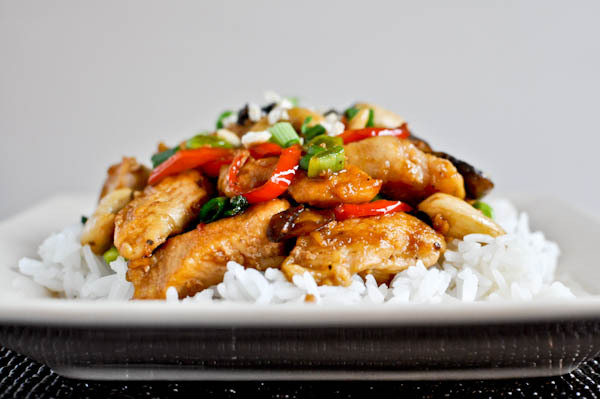 Serve with jasmine rice. I love Jessica’s blog too. As does my stomach and my husband. Buffalo chicken amazingness for days. 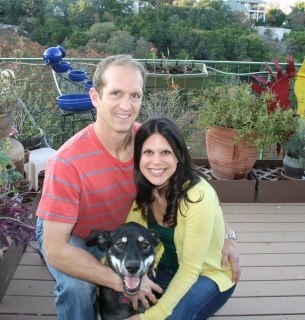 I love Jessica’s blog — and any recipe I have tried has turned out great! Thanks for sharing these! They look fantastic. Mmm, my mouth is watering. Also, Jessica is one of my favorite people on earth. And those those portobello sliders are one of my favorite things on earth. I have yet to make one of Jessica’s recipes that wasnt amazing. 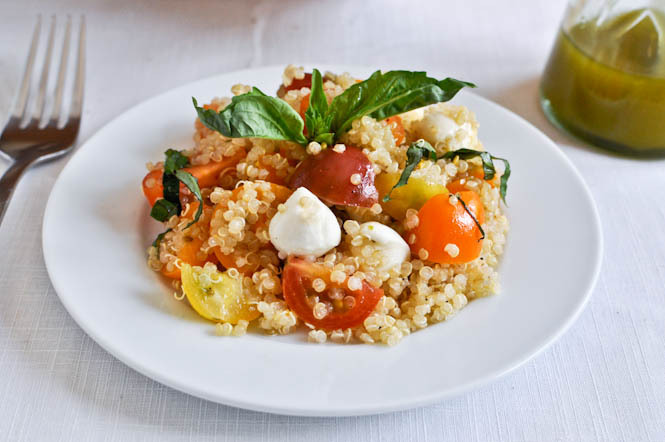 That caprese quinoa sounds incredible. I dont know why I havent made it yet. Great ideas! They all sound amazing! Love Jessica’s blog! Neat to see some of her recipes all in a row like this and they look so scrumptious! Must try that cashew chicken especially. I’ve yet to make any of her recipes either, but I like the diversity here. These all look mega-delicious! And I love the quick factor. i love jessica’s blog! and these all look yummers. These all look delicious! I especially love the pizza!! !